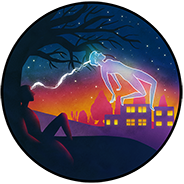 Robert Monroe is a prominent person within the field of Astral Projection and Out of Body Experiences, first having popularised the concept in the west with his book ‘Journeys out of the Body‘. You will see his name a lot on this website and any others dealing with astral projection. Robert Monroe initially worked in radio broadcasting and performed research into altered states of consciousness, ultimately founding The Monroe Institute. The Monroe institute is a research organisation created to explore human consciousness. It runs a programme called ‘Gateway’, and promote Hemi-Sync products (Binaural beats).